Most of the time we focus on ourselves when we look for ways to increase productivity. Your customers are looking for methods to improve productivity, too. You can kill two birds with one stone when creating a productivity increase for them and have them reward you in return. I’ll share a little twist for improving employee productivity too, right at the end of this article. Have you ever bought a bag of pre-washed or assorted lettuce at your local grocery store? Did you know that, depending on the season, it costs anywhere from 5 to 10x more than a head of iceberg lettuce or romaine? So why the heck do we pay the extra? Easy. It saves us time. It (actually) saves us money vs. buying several varieties of lettuce separately to create a healthy, attractive, and tasty salad. It solves a real problem because it stays fresh longer. It provides peace of mind because it’s pre-washed. And it creates a “feel good” because now you have an easy way to eat healthy. If you’re in a highly competitive market where your margins are constantly being squeezed, all you need to do is find your lettuce. In the wild-west days of cell phones back in the early 2000s, it was all about who would discount the handset or the minutes the most. Then along came Blackberry (for a time) and Apple. They provided “lettuce” that the plethora of other cell phone manufacturers didn’t offer. And where are Motorola, Nokia, and so on today? They’re in the composting heap, with the other vegetables. Save Them Time. When I worked in the wireless industry back in the hyper-competitive days, we showed our customers how our handset could eliminate 2 hours of checking voicemail every day. Do you think that the executives making the decision cared about cents-per-minute of airtime? Revenues soared by almost 500%, and once hooked on improving employee productivity by cutting down on voicemail, our customers were highly loyal to us because they loved the time-savings! Save Them Money. This has nothing to do with discounts and everything to do with value-add. If you can show a buyer how your product or service may cost more upfront but save them money over time because it’s easier to use, more efficient, or has a longer mean-time-to-failure, then you’ve got a great story to tell. In terms of emphasizing the value of a productivity increase, show them how it’s more efficient. A ball-bearing company created an entire repair kit complete with o-rings and sealant that saved their customers money vs. buying all the components separately and tracking the inventory… and it was also much more efficient whenever the bearings were needed for a repair. Solve a real problem. 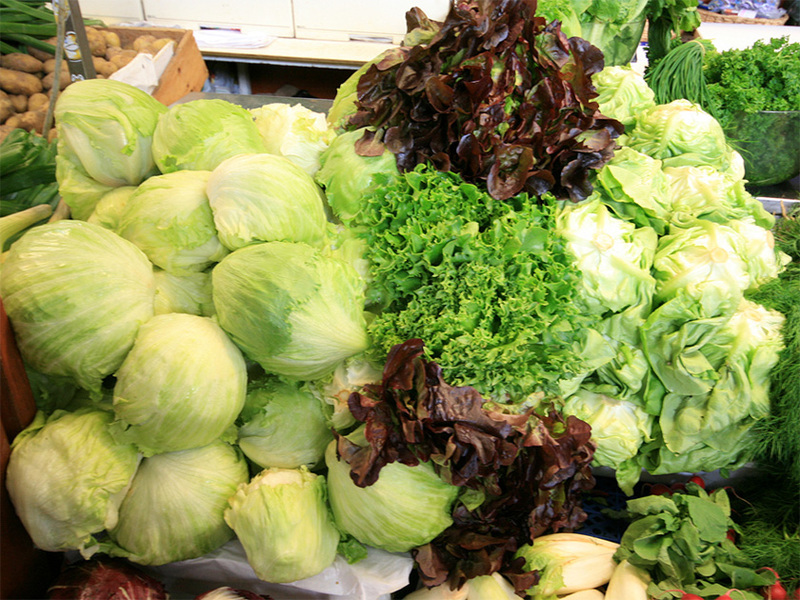 Bagged lettuce lasts longer because of the special chemicals in the packaging. That solves a multitude of problems – if you’re single, you don’t have to throw rotten lettuce away. If you’re a camper, boater, or someone else who needs lettuce to last beyond the norm, you’re willing to pay more. Often we get caught up in our own features and benefits. Instead, focus on what your product or service actually does for the customer and find the problem you solve better than anyone else. As one of many ways to increase productivity, you may have bought a bigger bag of mixed lettuce knowing it would save you a trip. How can you apply that same problem-solving approach to your customers? Provide peace of mind. Every buying decision comes with a risk, and when your customers have to research competitive products more thoroughly or create a business case to justify choosing your product to show that they’ve considered the risk, that’s time consuming and unproductive. In the old days, IT managers used to say “Nobody ever got fired for buying IBM.” By eliminating the perception of risk, IBM often won the day even if it was not the best technology or lowest-priced solution. If you have brand value, a higher quality product that won’t fail, a better guarantee, or simply a “whatever it takes” approach to customer service, you can increase your customers’ productivity every time you play the peace-of-mind card. Create a feel good. At the end of the day, most decision making is made by the emotional right brain and then justified by the logical left brain. If you’ve paid a lot more to drive a luxury car with a quiet interior and leather seats instead of a cheaper model with rattles and cloth seats, you’ve already figured this out for yourself. Research has shown that we’re all more productive when we’re happy, so it’s time to figure out how to give your customers that type of feel good with the products and services you provide. Often, it has nothing to do with the product or service and everything to do with the way the customer feels when they do business with you. When you “Find Your Lettuce,” you improve work productivity for your customers and create a competitive advantage that is extremely hard for any of your competitors to identify, let alone copy. And you create the desire amongst your customers to do business with you for reasons they may not be able to easily justify – they just know that they’ll do whatever it takes to pay your price to get what you offer, instead of saving a little bit here and there. Once the pressure is off your margins, you’ll see easy top line growth on an ongoing basis. Here’s the little twist I promised for how to increase employee productivity in your own organization – “Find Your Lettuce” with your internal customers, and save THEM time, save them money, solve the real problems they’re dealing with, create a feel good, or provide peace of mind. You’ll end up with a happier, more productive workplace! What’s the best tip you ever found for helping your customers improve productivity?